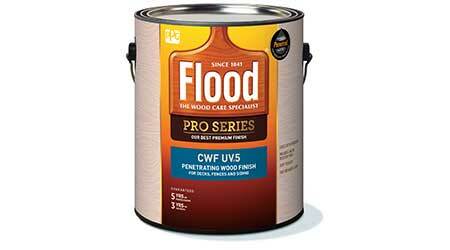 CWF-UV 5 is a penetrating transparent acrylic/oil resin that protects wood against sun and moisture damage. The finish is fortified with an additive that drives protection below the wood's surface, and is tinted with transparent iron-oxide pigments for more protection than CWF-UV. The water-repellent formula provides a mildew-resistant coating. Available in 1 and 5 gallons, in seven colors.